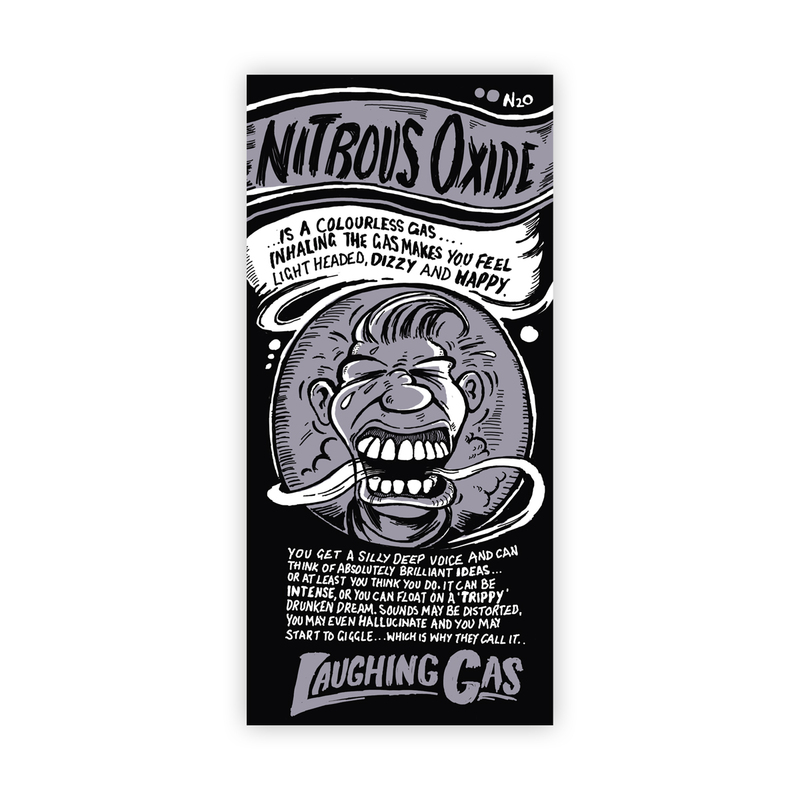 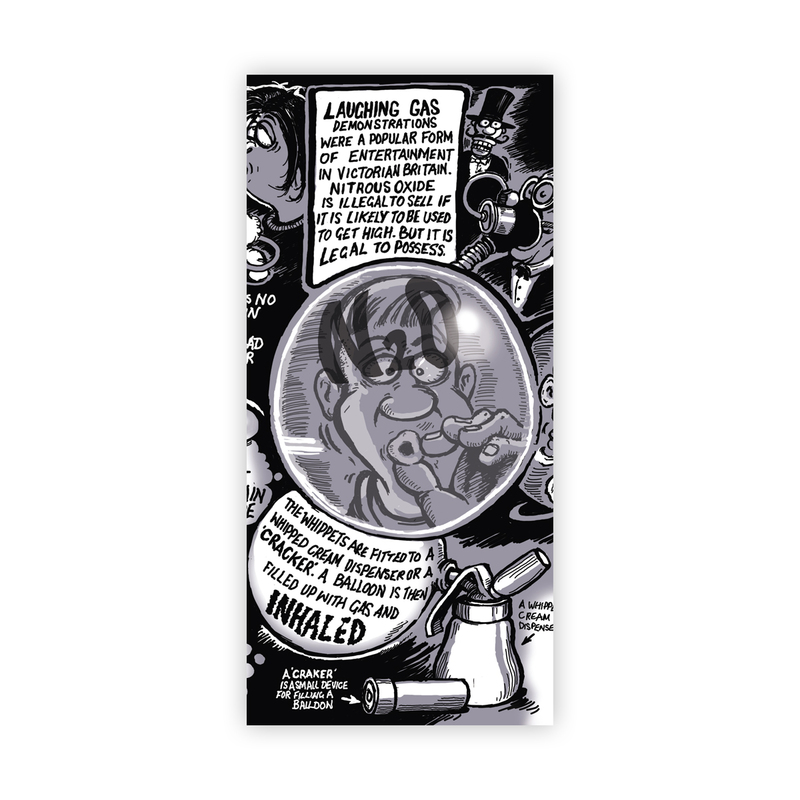 An Illustrated, accessible, and accurate A4 folded leaflet about Nitrous Oxide AKA laughing gas, N2O, whippets, and (by the press) 'hippie crack' aimed at drug users, and services working with young people. 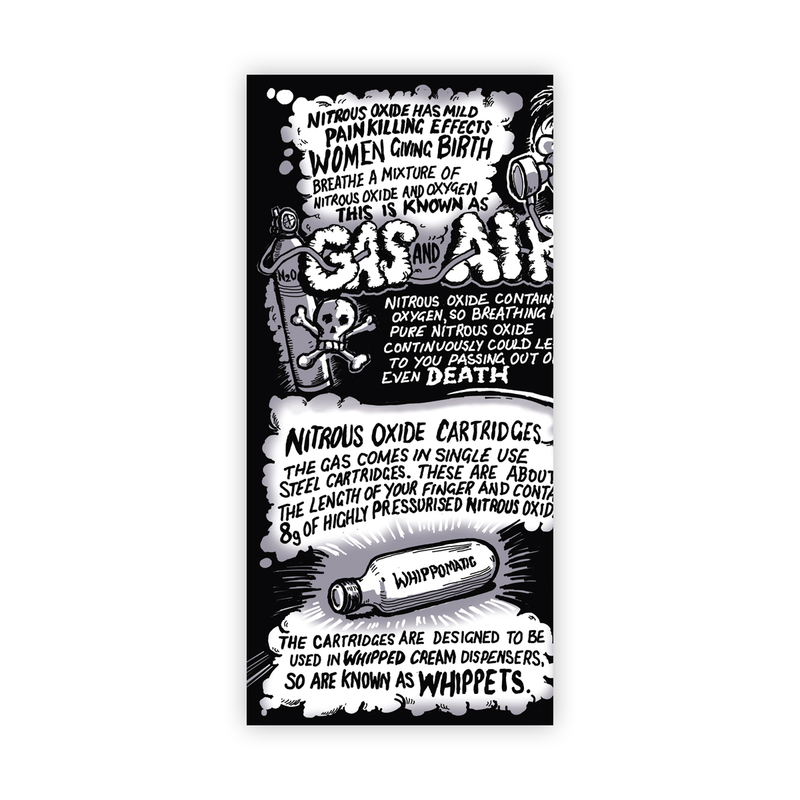 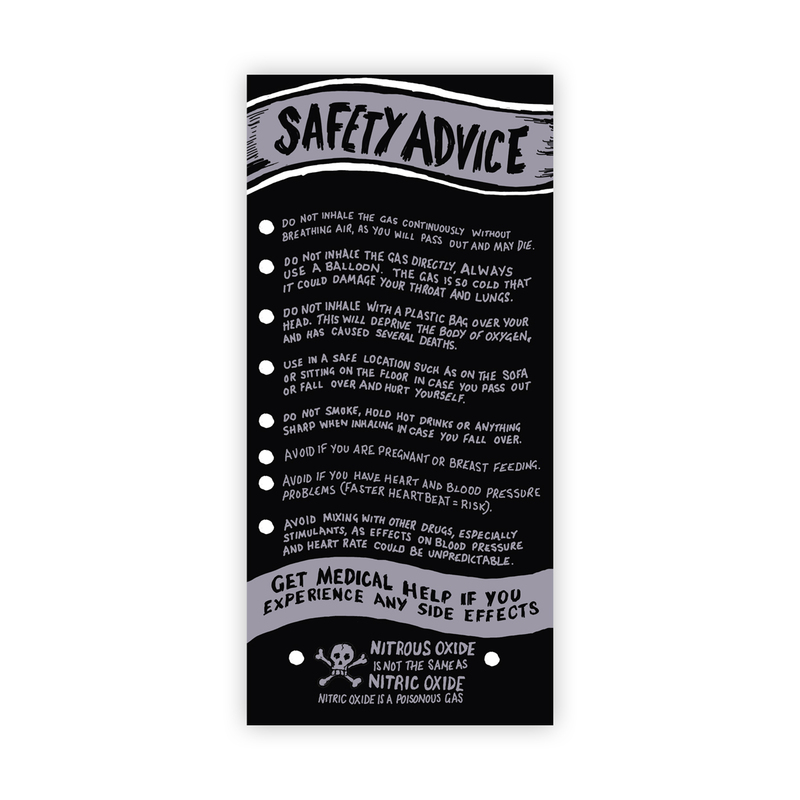 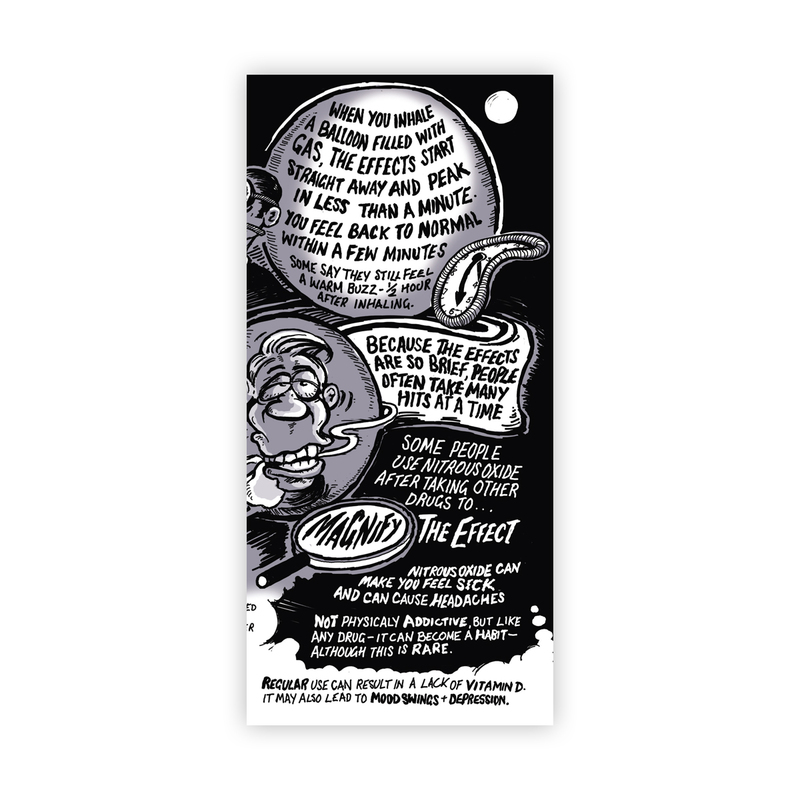 Covering the history, effects, the law, risks, and key harm reduction messages the leaflet is a perfect information resource for those who are 13+ and using, or thinking about using, nitrous oxide. 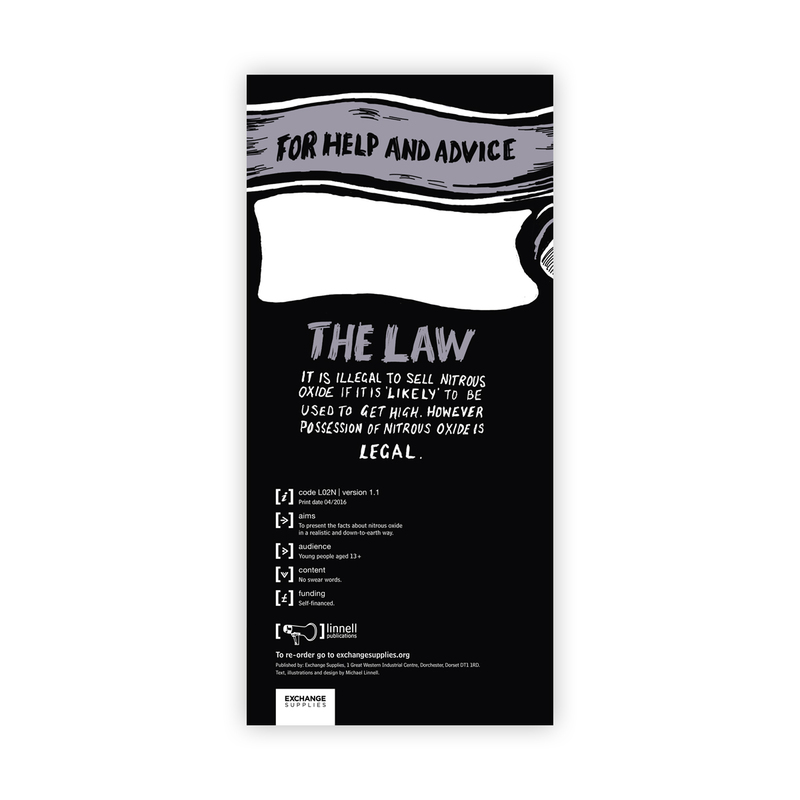 This is a 2nd edition with updated information on the law following the passing of the Psychoactive Substances Act.